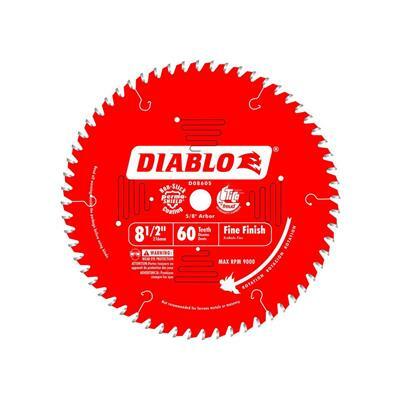 The Freud Diablo D0860S 8-1/2 in. x 60-Tooth Fine Finish Saw Blade is the ideal choice for trim carpenters because it leaves a smooth surface that requires little to no sanding. Its ideal for crosscutting oak; pine; melamine; plywood; and moulding.